For the only time, the American and British jackets were identical. 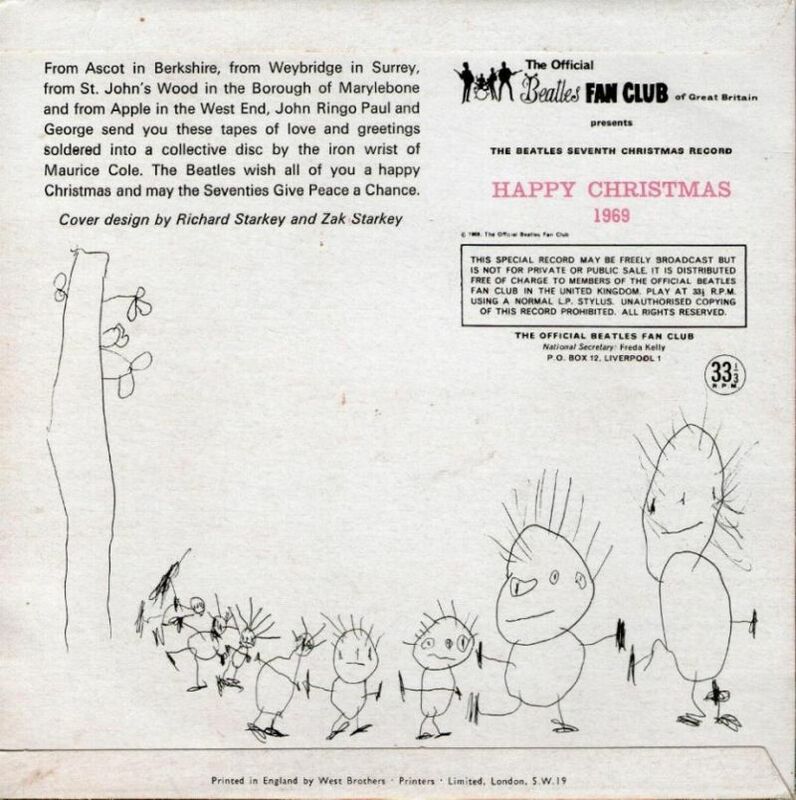 The US version of the flexi-disc had an elaborate drawing of the Beatles’ faces on it. Drawings were credited to Richard Starkey & Zak Starkey. 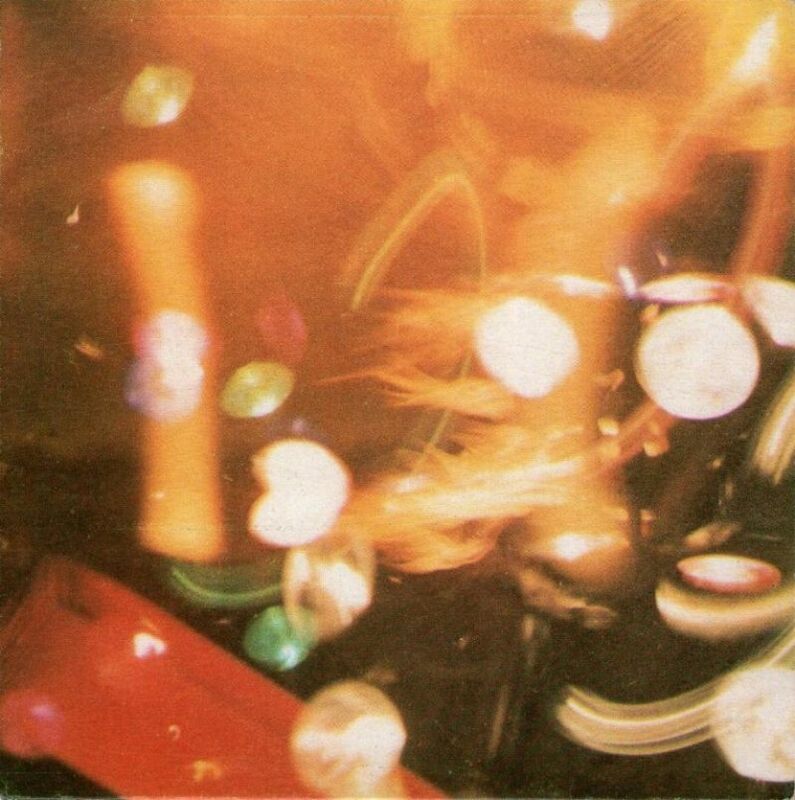 In December 1970, in the wake of the band’s break-up, the UK fan-club sent out a compilation LP of all seven recordings, entitled From Then To You. The master tapes having been mislaid, the LP was mastered from copies of the original flexi discs. 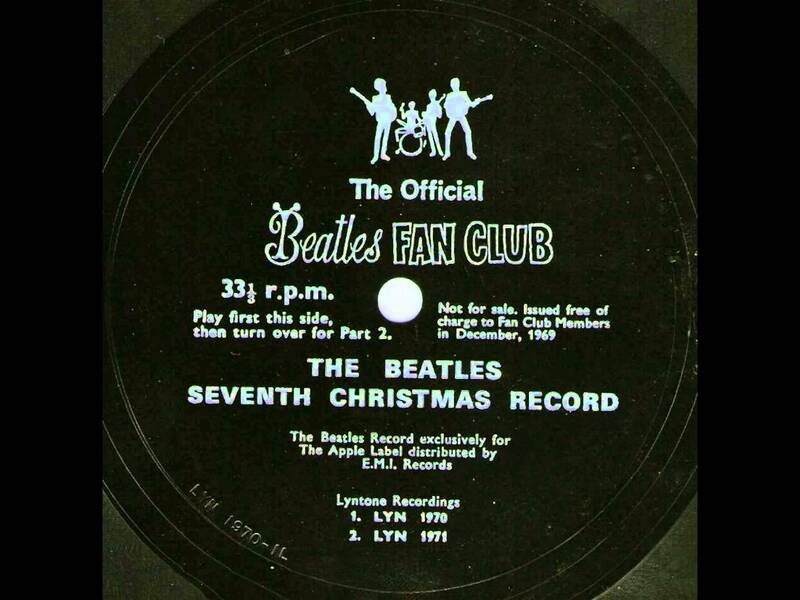 In the US, the LP was repackaged as The Beatles’ Christmas Album and sent out by the fan-club around springtime 1971. With no new recording, the LP served to remind that the Beatles were no more, but had the advantage of durability over the original flexi discs, and, for the US, it was the first time the 1964 and 1965 messages had been made available.